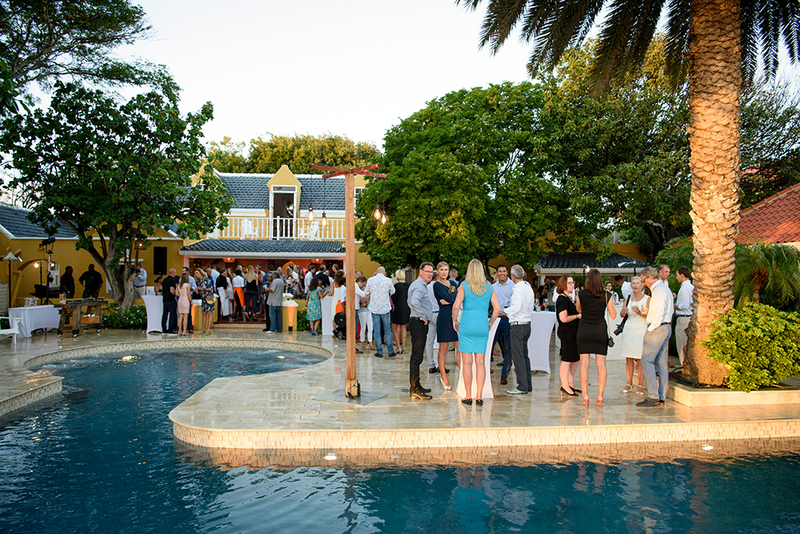 The official opening of the historic Princess Sirena Bay Estate in Willemstad took place on Saturday, 17 February last. 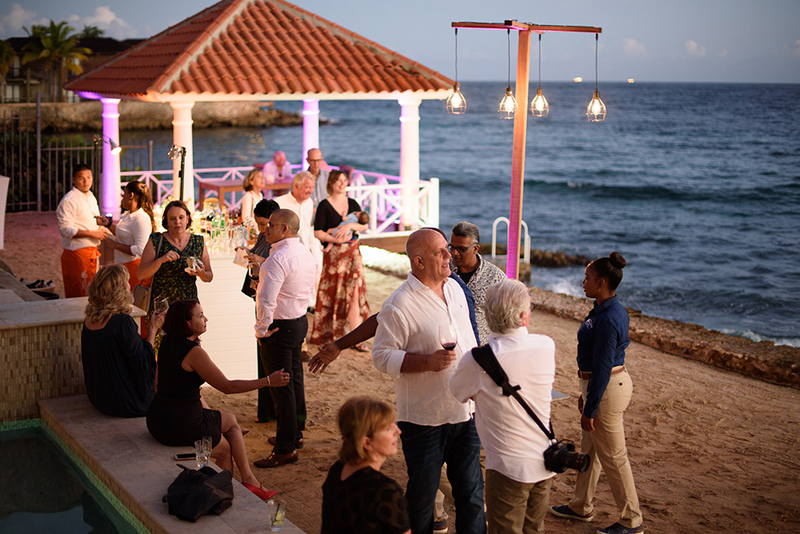 After a thorough renovation, the new acquisition of the Ouborg family was festively opened in the presence of family, friends and many business associates, including Minister Martina of Economic Development of Curacao and Lee Towers. During this festive opening, guests were treated to delicious Caribbean dishes while Juni Juliet provided musical accompaniment. 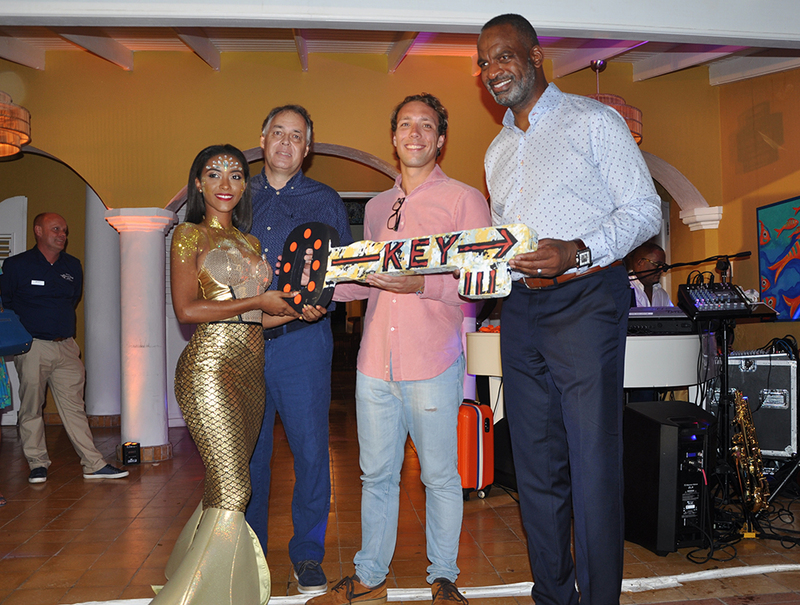 The official opening was performed by Aad Ouborg and Minister Martina when they symbolically opened the door with a large wooden key, handed over by a beautiful mermaid (sirena means mermaid) decorated by well-known Curaçao artist Philippe Zanolino. A spectacular fireworks show followed. Aad Ouborg – founder of the Babyliss and Princess brands – has managed the business since 2010 with three of his five children. Today, Tim and Florentine Ouborg have been at the helm of Princess Sportsgear & Traveller (suitcases and travel accessories) for more than 6 years, while daughter Nikki is busy conquering the world with Bourgini household appliances. The Ouborg family feels that doing business should include fun and enjoyment, which is why they travel the world with smiles on their faces. In all their businesses, the family works according to their motto ‘Business is Entertainment’, which forms the leitmotiv of their unique way of doing business. Using a clever, never copied marketing strategy based on emotion, relationships, events and detail, combined with a lot of showmanship, glitter and glamour, they hold their own against the giants of the sector. As a family, they have been interested in exceptional monumental buildings in the Netherlands for many years. During their many holidays on Curaçao, they often visited exceptional buildings there too. One day, they came across the Princess Sirena Bay Estate and decided to buy this magnificent, historic country estate in December 2016. Since the acquisition, the entire estate has been exclusively rented to groups. There is a high demand for this and in the meantime, much has been done to upgrade the estate to achieve that 5-star feeling, both where accommodation and service are concerned. For this reason, a thorough renovation took place in stages in 2017, during which both apartments, the small residence, the pool and terrace were completely made over and redecorated. 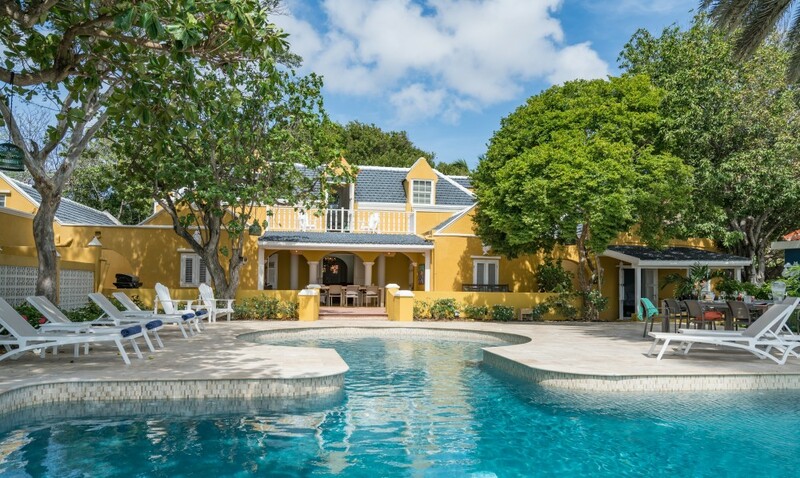 The Princess Sirena Bay Estate is a monumental country estate, located directly on the sea, with a beautiful tropical garden, private swimming pool and beach. This 18th century Dutch country estate (nine bedrooms and bathrooms) was lovingly restored and decorated using a charming mix of antique Caribbean furniture with Asian and European influences. The art collection creates a refined and stylish ambiance. In particular, the works of Curaçao artist Philippe Zanolino can be found adorning the estate. Directly in front of the house is a beautiful and unaffected coral reef where one can scuba dive under the guidance of a private instructor. Where the wishes of the guests are concerned, the four members of staff leave nothing to be desired. They will arrange everything in great detail and provide guests with every modern convenience. 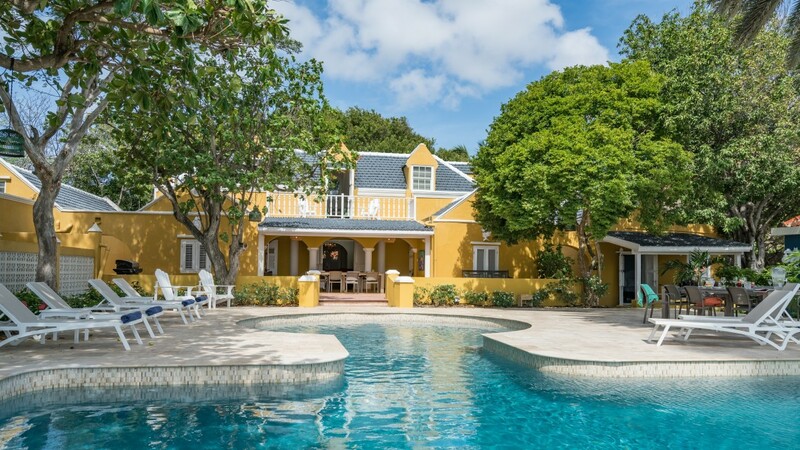 The Princess Sirena Bay Estate is in Pietermaai, a beautiful, historic area in Willemstad that has been undergoing extensive development in recent years. The island’s five best restaurants, including Italian restaurant Serafina and food-sharing restaurant Mosa, are less than 50 meters away. Previous post Vacation Day 1-2-3!